Atlantic Offshore has ordered a new vessel valued EUR 25 million from the Spanish shipyard Zamakona Yards in Bilbao. The ship is the ninth newbuilding and the company expects that there will be more new vessel in the fleet over the next few years. This is the third time the Bilbao based shipyard constructs vessels for Atlantic Offshore. The contract is part of a modernisation program. The company has recently signed agreements for a total of nine new vessels, four of which are already delivered. The fleet consists of a total of 24 ships, of which 19 are company-owned, and five are on management. 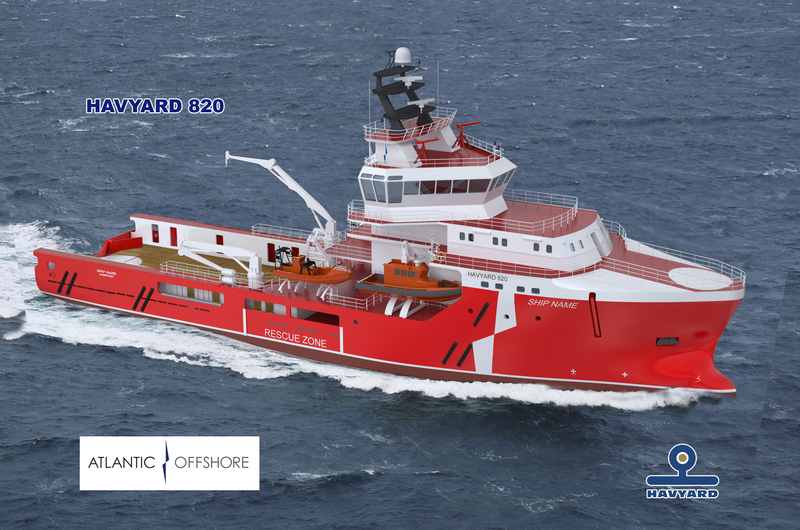 The vessel under construction in Bilbao is a Field Support Vessel (FSV) with Havyard Design HY820, which will operate for Shell UK over a period of five years, and the corresponding option. The ship will be completed and in operation in the second quarter of 2015. Overall, Atlantic Offshore has invested 2.2 billion in fleet renewal, and the newbuildings from Zamakona involves approx 40% contract participation of Norwegian subcontractors. Oil Producers places great emphasis on modern ships that meet the most stringent requirements and regulations. Additionally, the new ships contain features beyond the emergency response they perform, such as towing, loading and storage capacity, says CEO Roy Wareberg Atlantic Offshore. Atlantic Offshore has long-term contracts with Statoil, Total, GDF Suez, BG Group and Shell, and estimate that there may be several newbuildings associated with new contracts. – We operate in a market with significant activity, and several newbuildings is a natural consequence of new contracts, he says.